You can purchase a copy of You Don't Know Me on Amazon. 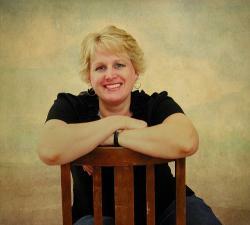 Susan is celebrating with a $200 Weekend Getaway Giveaway and hosting a fun video Author Chat Party! I have read quite a few books by Susan May Warren. I really like her as an author. She has a way of telling a story that makes you feel as if you are there watching it all take place. And she definitely did not disappoint me this time. 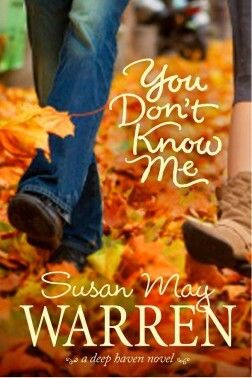 You Don't Know Me is the story of a seemingly perfect family who within the first chapter starts to unravel. Secrets are everywhere...and the biggest is that Annalise isn't who she says she is. Years before she had witnessed something horrible and was placed in the Witness Protection program. Now today the person she helped place behind bars is out .... and looking for revenge. Annalise has turned her life around and no one knows her secret. So how can she keep her family safe without them finding out the truth? That's where it gets tricky. While I was reading it I have to admit I got mad at Annalise a few times. I wanted to tell her to stop being stupid and straighten up. Secrets aren't good for anyone! But if she would have listened to me half of the story wouldn't have happened and well that would have been a shame! I laughed and cried so many times through this book. I had such a connection to the characters that I really cared what happened to each of them. It was a very emotional book and those are the best kind! If you like family dramas with the ability to make you cheer them on this is the perfect book for you. Grab it up and start reading today!